Custom made for any size door or window. We work with each homeowner to design and build the perfect window or door awning to fit any home's desired aesthetic and unique shapes. Window and door awnings can offer so much beauty and functionality to any home or business. Not only do they amplify the beauty of any structure, but they also help to regulate a comfortable temperature inside your home or office. Plus with our custom retractable window screens and awnings, you can protect your furniture and other belongings from sun damage by preventing harsh sunlight from flooding in through your windows as needed. Of course, you can always retract the screen or awning to allow natural light in whenever you want! Sunny to shaded at the flip of a switch. Our window awnings give you complete control over how much sunlight you let enter your home. 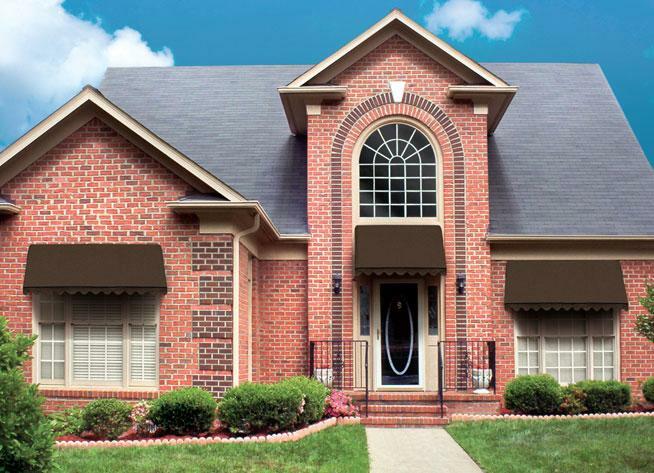 Custom window and door awnings from Coastline Awning are a smart investment for your home or business. Not only do they increase curb appeal and overall value of your property, they also offer functionality that few home improvement projects can. We also offer best-in-class 5 and 10-year warranties on all our awning products! While we make all of our door and window awnings on a to-order basis, we have a couple of different base models for you to choose from and expand upon. Our awnings can be extended fully for maximum brightness control in your home, or retracted to let the light shine in. 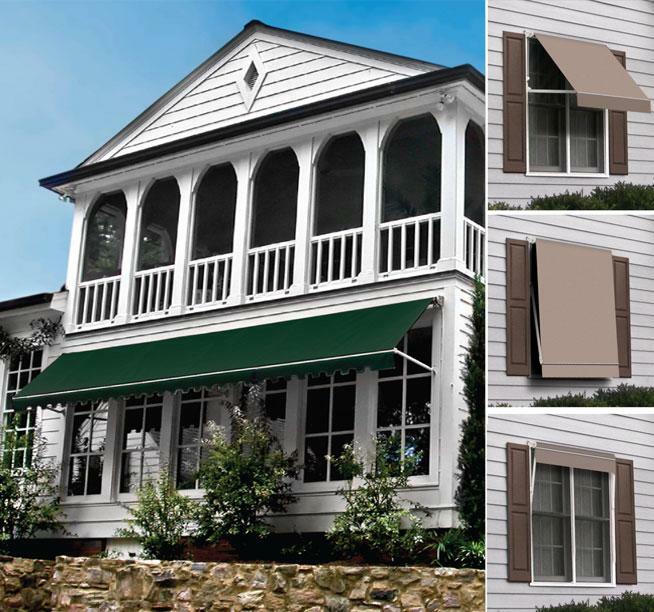 Some awnings also double as screens and fold completely down to prevent any light from entering the home at any angle. No matter what look you are trying to achieve with your home or business, we have the window and door awnings to match! Give us a call at 1-844-707-7757 or contact us online to schedule your free, on-site consultation today!